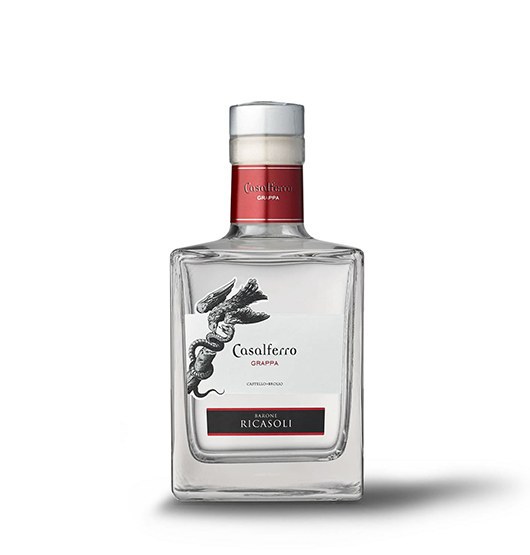 The Grappa is obtained from the pomace of Merlot grapes used for the production of Casalferro. Grappa di Casalferro has a crystal clean colour, a pleasant and vineous bouquet with elegant marmalade tones. The palate, equilibrated and nicely persistent, continues with complex and warm hints of blackberry jam flavors. A medium tulip-shaped glass will enhance the aroma of the distillate. To be served at 17°C.